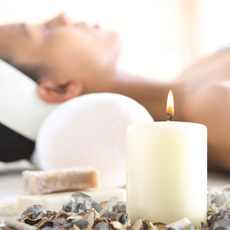 The HND in Complementary Therapies (SCQF level 8) develops knowledge and skills in professional issues together with massage, aromatherapy and reflexology. It provides the underpinning knowledge and skills to work as a complementary therapist in the public, private and charitable sectors. This qualification is available through colleges, training providers and some universities. Typically, an HND takes two years to complete. The HND in Complementary Therapies (SCQF level 8) builds on the knowledge and skills of the HNC. any two relevant National Courses at SCQF level 6 (Higher) together with three relevant subjects at National 5. Learners who achieve an HND Complementary Therapies could progress to a BSc(Hons) Integrative Health Care. HND Complementary Therapies at SCQF level 8 consists of 13 mandatory units (144 SCQF credit points) and a number of optional units (96 SCQF points). The finishing date for this qualification is 31/7/2022.